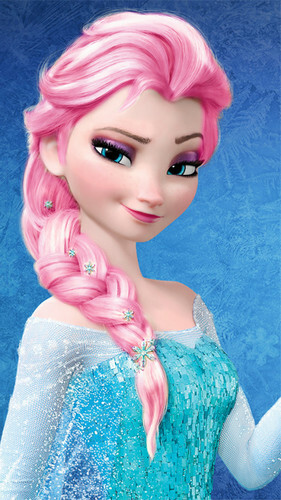 Elsa - berwarna merah muda, merah muda Hair Color. . Wallpaper and background images in the Frozen club tagged: photo quick edit just for fun elsa frozen hair color rainbow blonde gold brown red light blue dark light blue pink purple light green.